So far we have had two rewarding seasons of parenting workshops presented by Dr. Jonathan Schwab and Sharon Saline Psy.D. with guest speakers. We would love to hear back from parents who have attended, as well as those that did not. 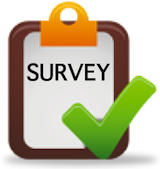 Please complete the following survey to give us an opportunity to improve on future sessions. Click here to complete this short survey. Your feedback is important to us! The survey closes August 15th.